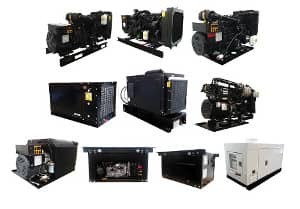 CK Power has developed a line of small, quiet, dependable mobile generator sets. The CK Power Paks range from 3-45 kW. These units have been used in numerous applications from utility companies, military and custom fabricated marketing vehicles to a personal luxury mobile home. Please see below for more details. The CK Power Pak Open Power Packs are compact and rugged diesel powered open units featuring industrial continuous power. Open units skid mounted come 120/240V Phase 1 standard. Available in Single or Three Phase (call for pricing). The CK SQ Emergency Standby / Prime Power Units are diesel powered portable generators producing continuous prime power. ESB units include sound enclosure and day tank. All units come 120/240 V Phase 1. A natural gas or LP powered portable generator producing 12 KW to 25 KW of continuous prime power. CK Power is your complete source for engine and generator power. As the exclusive distributor for John Deere, Volvo Penta, Kubota and Wisconsin Continental engines in the Midwest and Rocky Mountain region, and Kohler Generators in the Midwest region, CK Power is able to meet many needs with certified units from quality manufacturers you know and trust.